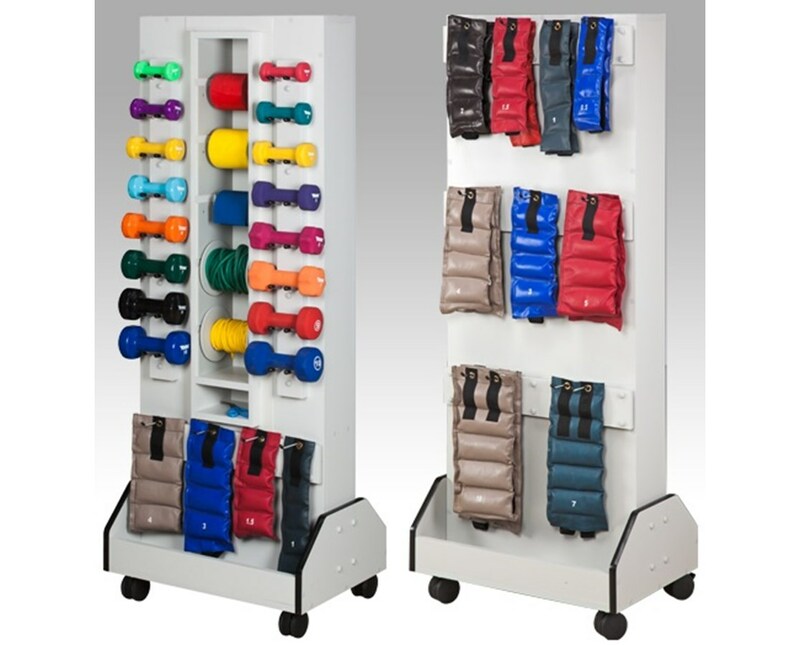 The Clinton Industries Vanguard Series Constellation DualRac Weight Rack is sturdy storage device made to store and hold up to 64 cuff weights, 16 dumbbells and 5 rolls of 50-yard, hollow core center exercise bands that are in independent, quick-change positions and/or tubing spools. Robust Construction. Made with a solid laminate surface, the Constellation DualRac is easy-to-clean and has no pegboard to chip. 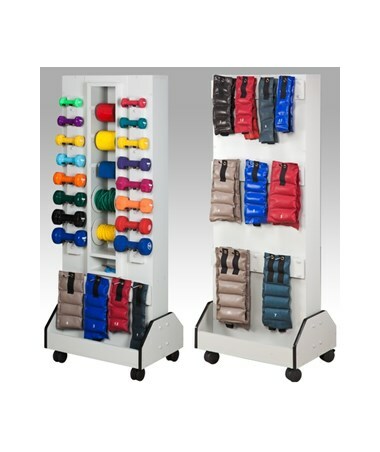 The included sliding hook system allows the user to easily store and position cuff weights and the strong polycarbonate dumbbell rods are angled for better stability. Safe and Easy Transport. Because of its 3" swivel casters with 2 that lock, the Constellation DualRac can be moved around any physical therapy or rehabilitation facility hassle-free. Its base is covered with a protective bumper molding for damage and scuff prevention. The Clinton Industries Vanguard Series Constellation DualRac Weight Rack comes in a size of 25.5" L x 18" W x 65" H.